Jos Buttler's innings last week and subsequent comments from Alastair Cook that he wasn't ready for Test cricket, have made the country scratch their collective heads. With Matt Prior having an Achilles problem, and being a doubt for the first Test at Lord's, it looks as if the selectors may well go for a genuine glove man in James Foster. Described as the best in the country, and possibly the world in his art, Foster takes us back to an age when keepers were picked for their keeping alone, although he is no fool with the bat. We look at who there is in England. Who are the genuine stumpers, as opposed to batsmen who can keep a bit? And trust me, there is a huge difference. The England hierarchy at present is made up of wicket keepers. Paul Downton, Peter Moores and Paul Farbrace should know one when they see one, so the move to bring Foster in, should Prior be injured, is an interesting move. Foster is the skipper of Essex and one that will be the eyes and ears of Alastair Cook, helping him on and off the pitch. The job of the keeper is to be the 'engine room' of the side, and Foster, having been schooled by Graeme Fowler at Durham UCCE and in the school of hard knocks at Essex is a shrewd operator, as well as being a fine technician with the gloves. Watching someone with the gloves on at work is an art, and I'm not talking about the missus with her marigolds on, doing the washing up! Watching John Simpson of Middlesex and Andrew Hodd of Yorkshire the other week at Lord's, taking balls thrown in flat from the boundary with soft hands and not even hearing it hit the gloves was to watch masters at work. Proper art you know; Mozart, Beethoven, Picasso or a barmaid who can pour a proper pint of Guinness. You know letting it settle half way, topping it up with a little clover motif in the top. Maybe like Foster's career, good things come to those who wait? I digress. We like interviewing keepers here at The Middle Stump. Engaging, bright and always happy to talk about their trade, entering the clique of the keepers union and hearing their general banter is like entering a different world. 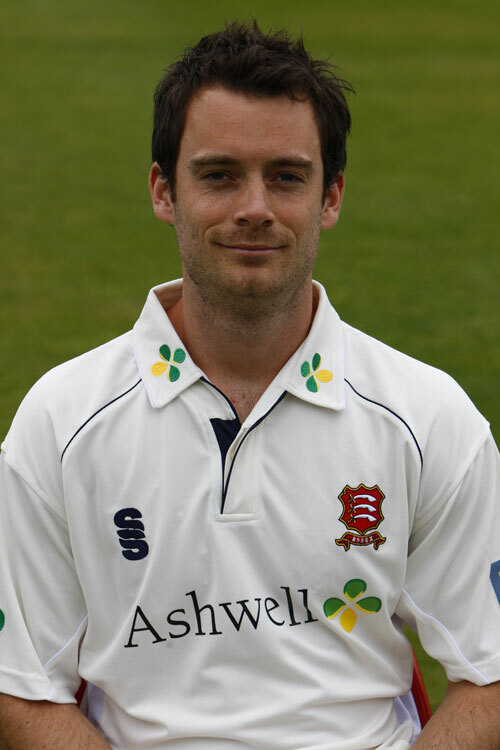 The same names crop up when talking about genuine glovemen in England (or Wales for that matter) and that is James Foster at Essex, Chris Read at Nottinghamshire, John Simpson at Middlesex, Mark Wallace at Glamorgan and Michael Bates at Hampshire. Saying that I am hearing some excellent things about Ben Cox at Worcestershire too, and his hundred the other week even brought on a chant of "We've got little Cox" from the stands! These are the guys, with fast hands and agility who work in genuine unison with their bowlers. A top keeper can make good bowlers even better. Think Alan Knott and Derek Underwood, Ian Healy and Shane Warne or Muralitharan and Kumar Sangakkara, the Sri Lankan who ensures that batsmen have to keep behind the white line at both ends of the pitch! Adam Gilchrist was another quality keeper, although he was the best bat as well as being a masterful keeper too. He was also a decent sport, often preferring to walk, when many of his countrymen walk about as well as me after twelve pints. Sanga...ensuring you keep behind the crease at both ends! Keeping in England is a very different matter to other parts of the world, and keepers coming to the UK can get caught out with low bounce and conditions that swing like Max Moseley on a Saturday night. The technique employed by English keepers to take the ball in front, differs vastly from the Aussie keepers who like to take it at the hip. Movement, quick hands and even more importantly, quick footwork defines the genuine glovemen apart from the others, as well as their work standing up to the stumps. Lord's is a ground which can make a lot of keepers look silly and I remember Denesh Ramdin the other year using his gloves about as often as your average Audley Harrison fight. 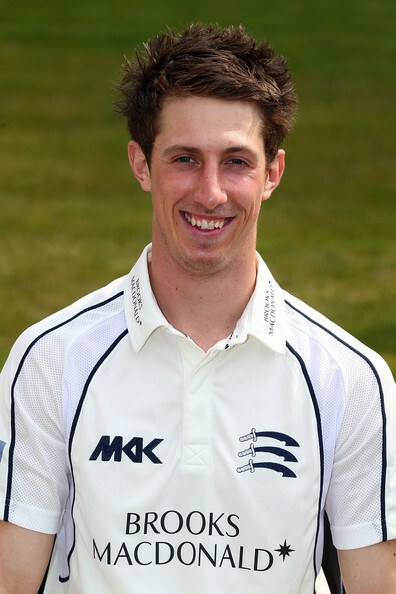 The reason for this, according to Middlesex keeper Simpson, is the slope. 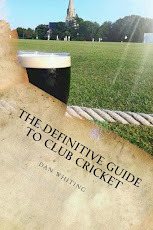 "Lord's not only has a slope, but it tends to have a number of factors which make it difficult for all wicket keepers. Firstly, even I can't get to practice on it regularly, having to do all of my work on the Nursery Ground. I am probably the only keeper in the country who doesn't practice on his home pitch Secondly, it often swings after the bat meaning it can catch you out, and thirdly you have to work extra hard with your footwork to go up the slope" he told us recently. "The other problem it causes is if you go too far down the slope and the ball holds its own, the batsman then nicks off and can make you look silly when you have gone down the leg side". Simpson, who cites his heroes growing up as Jack Russell, Warren Hegg, Ian Healy and Gilchrist, described the keepers role as being alone and being neutral from his batsmen and bowlers, and this is why he thinks so many keepers make great coaches. His job is to work with the bats, and cajole the bowlers so it is no surprise to see the amount of successful keepers in world cricket become good coaches. Andy Flower, Rod Marsh, Tim Nielsen, Darren Berry, Moin Khan, Steve Rhodes, Steve Rixon and our very own Paul Nixon have had varying levels of success in recent years, with Michael Vaughan yesterday calling for Nico to be an England selector due to his record, and being in touch with the shorter format of the game. So whilst people are loving the batting of Jos Buttler and rightly so, for his innings was one to behold, spare a thought for the genuine stumpers. Think back to the day when Bob Taylor would bat ten for England on a regular basis. We have been having this argument for years though, or at least since the days of Jack Russell who was one of the finest that I have seen, and Alec Stewart who was a decent keeper, but primarily a batsman. Keepers now have to be able to bat, as the likes of Stewart and Gilchrist have changed our perceptions. Saying that, if one of these batsmen who have become keepers drops an opposition bat cheaply and then he goes on to score a big one, is he then worth his place? So the modern thinking is to have the likes of Prior, Bairstow, Buttler or Kieswetter in the side, who are all good keepers but not genuinely class. They can all bat though and will add value to any side that they play in, but is the train of thought changing? England are only lucky to have such depths. You should always go with your best keeper in a Test match. It is a key position and much devalued in recent years. James Foster is the man. The other issue I have is picking or proposing players for Tests on the strength of a good ODI performance. There is absolutely no logic to this. It is like picking an England footballer on the basis of a good performance in a 5-a-side game. County Championship performances should be the measure for the selectors to use. Not some one day slogfest. As always I have to agree with Fred (with the caveat that, given two very able keepers (eg Knott and Taylor) you go for the better batsman). Whilst your points on Sanga are well made, I think Prasanna Jayawardene will keep for the tests, to allow Sanga to concentrate on his batting (a test average of 58 suggests this works!). England seem to have a "strategy" of "developing" test players through the T20 then ODI ranks, which is nonsense when you come to think about it (see Fred's point above). Test cricket is much more a game for specialists, whereas "all rounders" flourish in limited overs cricket. There is some logic in developing the ODI side through the T20 one, though. For example, I think Hales should be in the ODI side (but he's nowhere near the test side). Also the current ODI top 4 makes no sense except in the test arena. As another example, I can't see Chris Woakes quite making it as a test all rounder (hope I'm wrong): not quite enough either bowling or batting. Moeen looks a decent test pick, and a pace attack of Jordan, Plunkett, Broad and Anderson has a fair amount of pace and promise (assuming the England bowling coaches are not allowed anywhere near them).